Through his groundbreaking studies on Pentateuchal criticism, Karl Heinrich Graf (1815 1869), Old Testament scholar and Orientalist, made a major contribution to research on the origin of the Pentateuch and on the reconstruction of the history of religion in ancient Israel. Despite his importance as a 19th century scholar, Graf never held a chair at a German university. 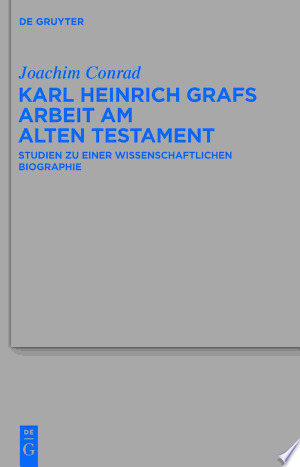 This book describes and recognizes Graf s Old Testament scholarship, placing it into the context of his biography and within the history of research. "